James Thurber and Buckey O’Neill were next. Thurber constructed a small dwelling and called it the Bright Angel Hotel, opening it in 1896. 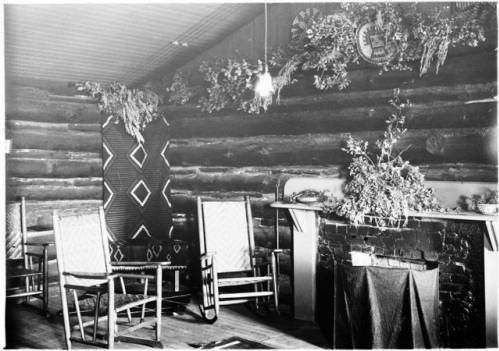 O’Neill also constructed a cabin, today known as the O’Neill cabin. It is the oldest surviving structure on the South Rim today. The Bright Angel Hotel headed the Bright Angel Trail. Thurber, in an attempt to increase business, added to the Flagstaff-Grand Canyon stage line, creating a path to his camp. 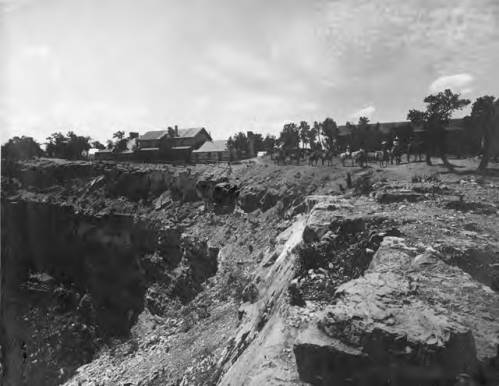 O’Neill owned the company that would construct the railway from Williams to the South Rim. His cabin was located right next to Thurber’s, though he didn’t get much of a chance to capitalize on it. It was acquired by Thurber shortly after his death fighting in Cuba in 1898. 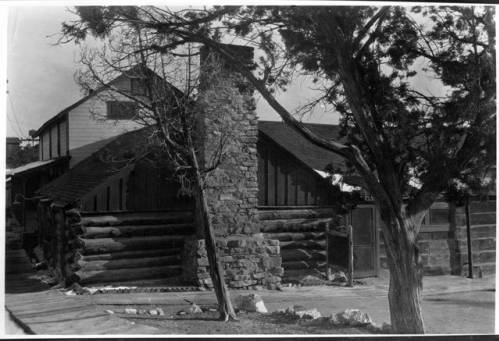 Thurber eventually constructed a circus tent between the structures and operated the Bright Angel Hotel and Bright Angel Camps with moderate success. These were the foundation of today’s Grand Canyon Village. The setup was sold to Martin Buggeln, a hottelier, in 1901. When the railroad arrived, they quickly bought the old camp, as there was no formal claim on it. It was acquired in 1905. Bright Angel Hotel with tourists on horseback, undated.